Mold is a form of decay. It is a fungus which is fed by moisture and reinforced in confined spaces. This is the reason why mildew found on carpets, which are stuck on the floor with glue, will be hard to remove and it will also keep expanding underneath them as well. Mold will be formed when the carpet is soaked and if it's not completely dried within a few hours. This is the reason why rugs should be checked on both sides and left outside to dry. Today, there is effective machinery for water extraction and people would use whatever means possible to dry well the carpets. But are these effective methods? Is there really a chance to avoid the expansion of mildew when it will start grow before 24 hours are over and, sometimes, it will keep growing after water damage restoration! Mold will be created by moisture and water but it will keep developing on fertile soil. What will the fertile soil be? Simply put absence of dirty rug cleaning. Dirty carpets full of food crumbs, stains, bugs, pet hair and dust. When dirt is mixed with water will make a deadly combination and mold will be born. When the contaminated area is not treated right away, mold will expand. When the contaminated area is on carpets, which cannot be examined on both sides, mold will grow at the bottom part and expand on the floor underneath the carpet as well. Mold is usually detected by its terrible smell, which will affect human health tremendously. Coming in contact with mold will also affect your health. Absence of mildew removal on time will result to the contamination of the whole house and, of course, in this case the symptoms on your health will be really serious. The smallest sign of mildew may cause significant respiratory problems, especially to those with an asthma history and weak immune systems. You will be unable to concentrate, feel fatigue and nausea and have skin allergies. If you want to protect your loved ones, keep the carpets in good condition and avoid the hassle of a contaminated house, you won't only need to treat mold right away but must start appreciating the value of carpet cleaning. 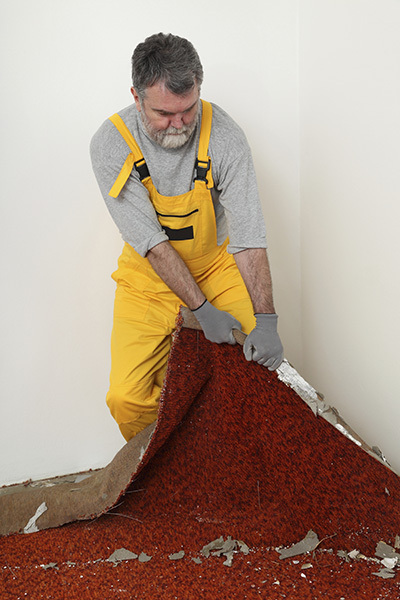 If your carpets get wet, at least mold won't find a fertile soil. That's something!